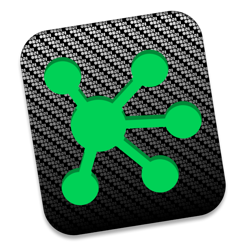 OmniGraffle 7 Enterprise simplifies deployment for customers who wish to pay full-price for the Pro edition up front. For most customers, we recommend our normal edition — which uses in-app purchases to support free two-week trials, two levels of functionality (Standard and Pro), and upgrade discounts. 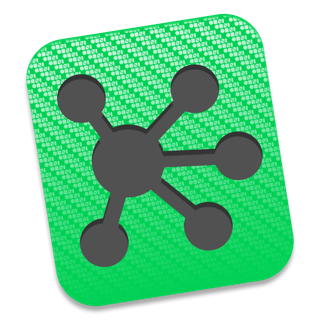 The list price and the functionality of OmniGraffle Pro are the same in both apps. 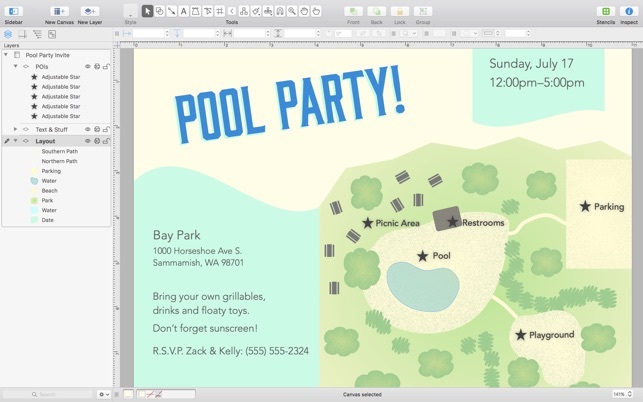 Create precise, beautiful graphics with OmniGraffle 7. 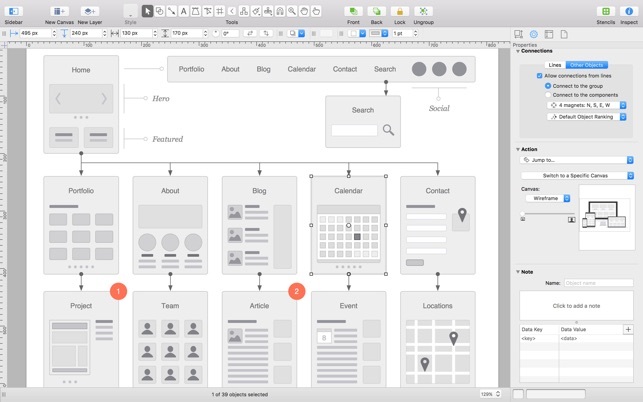 Design and build incredible diagrams, process charts, website and app wireframes — from the painlessly simple to the infinitely complex. 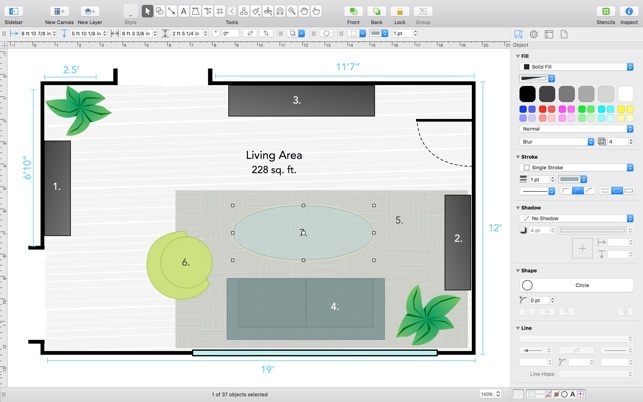 Make everything you can imagine in this scalable and easy-to-use app. - Fill shape with text: check a box in the Text Position inspector to make your text fit inside a shape. - Enhanced Auto Layout: now animated, so you can see changes as they happen. And it can be applied selectively. 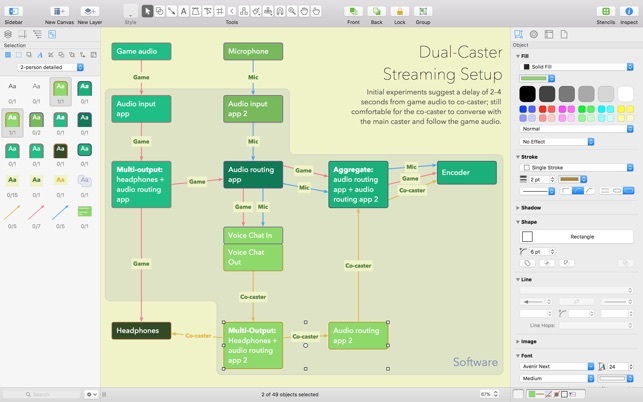 - Modern line routing: connections in your diagrams are easier than ever to follow. 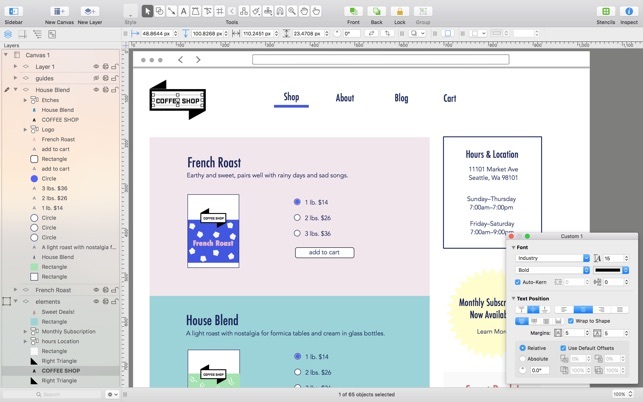 - Shared layers: Easily update common elements that you'd like to display on multiple canvases. Layers can be toggled between normal and shared.